PayWay was the first digital payments solution to hit the maximum impressions bank in Uganda. The service reflects its popularity streak way back from 2011 when it rolled out its self-service booths around Kampala. But as the booths continue to disappear, a self-service mobile app exists as that perfect companion to make your digital payments much easier. 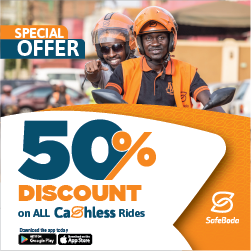 As much as the app saves you from tickling your phone to hail on a nearby Boda pickup with either cash or credit. PayWay’s approach was simply to make it easy for users to access all services without visiting the desktop self-service portal. As per our experience, we found the PayWay wallet app more catchy than any other means you can use to access the service. For instance, finding a PayWay booth is one hard task to traverse on the go. So, if you wish to install the PayWay wallet and be your own merchant, here is how you can achieve that. The Payway wallet has an intuitive design that makes it easy for everyone to conveniently make payments on the go. But first things first, you need to sign up for a Payway wallet account through the app to receive a password and username in an SMS to your phone, then go ahead to login. On the Payway wallet menu, you can hover between making instant payments and topping up your account or retrieving your previous payment receipts. However, to make payments, you need to top up your account via MTN mobile money or Airtel money to have your wallet balance reflected in the app.